The Japanese car carriers are back..cars sales must be down. You can always tell car sales globally are down when the Japanese car carriers start chasing business for high and heavy cargo, like earth moving machinery, that usually holds little or no interest for them. You have to try and fill those ships somehow in a downturn. From my perspective the GFC has had both positive and negative impacts on the RoRo (roll on/roll off) shipping market. One of positives includes rates coming back to earth. Probably too low to be brutally honest as we are still seeing rates in the market at levels I haven't seen since the 1980's. The carriers cannot sustain these levels for much longer so I firmly believe increases are just around the corner. 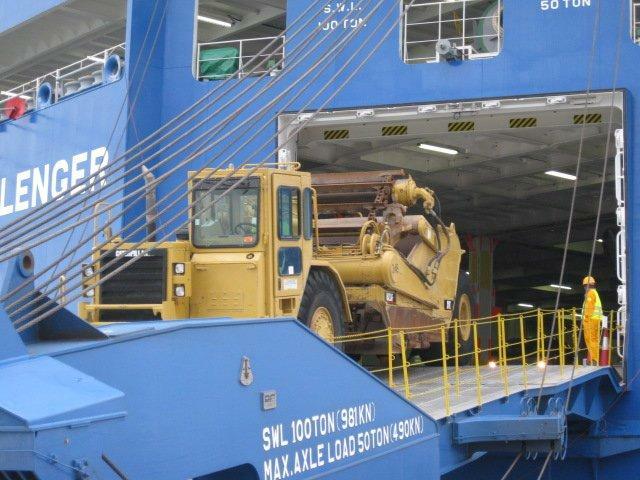 Carriers have been scrapping older ships which are less fuel efficient, and operationally constrained with their lower ramp capacities and speeds. This is a double edge sword though. While it is actually good to move the older girls on, with fewer vessels working it has meant that sailing frequency has dropped in many trade lanes and this combined with slower steaming speeds, to save fuel, means that you may have to wait longer than usual for your cargo to arrive. 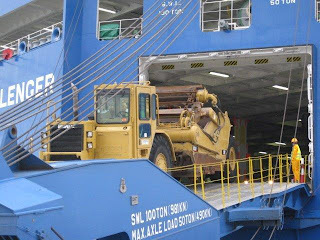 In an effort to fill their vessels RoRo carriers have been calling at more out ports. In other words, calling at ports that are normally not scheduled and going where the spot packages of cargo are. Prior to the financial crisis it was simply not possible for carriers to even consider a deviation from the main ports. With demand strong, they were under too much pressure from their big customers to get that cargo to market. NOW! Out of adversity there is always opportunity for enterprising people. We have seen some new carriers enter the market such as Partner Shipping's NAPA service which has brought real competition to the market between North America and Australia. We have also seen other carriers, like Wallenius Wilhelmsen, enhance their USWC transhipment services via Manzanillo. both of these things are a win for shippers. I think it depends a fair bit on what is happening economically in Europe right now however assuming cargo volumes continue improving, then freight rate restoration will soon be inevitable. As global demand for cars comes back, then if they run true to past form, we'll be saying "sayonara" to the Japanese car carriers again until the next downturn.